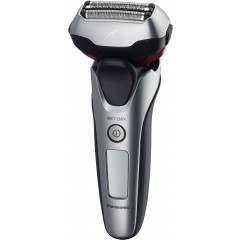 5% discount on the Braun HD310 Hair Dryer when purchased with the Panasonic ES-RF31 Shaver. 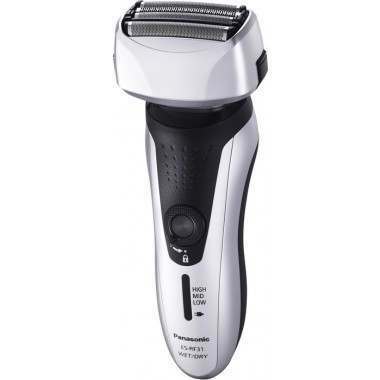 The Panasonic ES-RF31 is a premium four-blade shaver that allows you to power through stubble like a world champion. The secret lies in an additional extra-thin finishing foil which expands the shaving surface to deliver superior results every time. 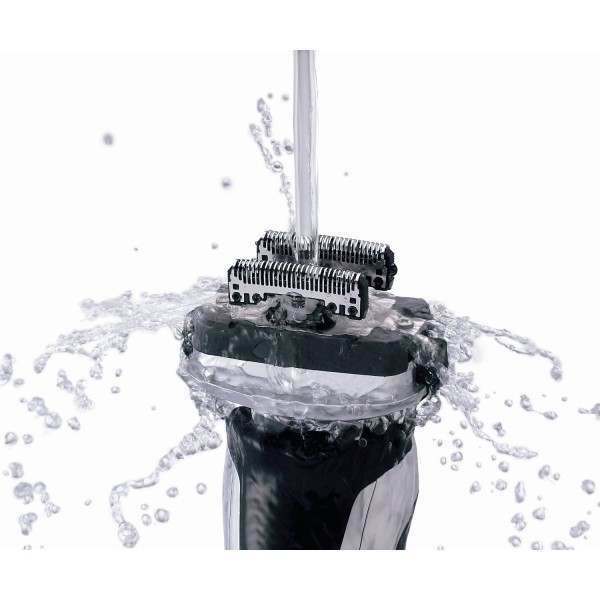 Wet and dry technology provides you with the flexibility to shave dry or wet with the convenience of an electric shaver. 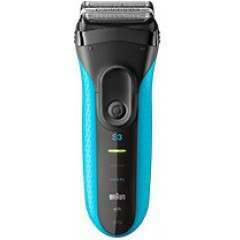 The ES-RF31 is the perfect upgrade from your current three-blade shaver or an alternative to the traditional razor. Enjoy the refreshing feeling of water and shaving foam. 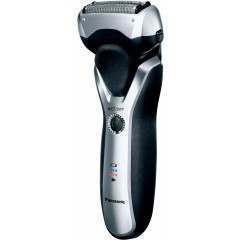 As with all Panasonic men’s shavers, the RF-series are 100 per cent waterproof so can be used under the shower too. When you've finished shaving, simply rinse the shaver clean under water. Your face is not flat and for that reason Panasonic have created a curved foil designed to fit uniformly against your skin so close shaving can be achieved comfortably even in hard-to-reach areas. Using the world's first three-dimension pattern processing, Panasonic have created a honeycomb-shaped foil as thin as 41 microns. This makes close and gentle shaving under the chin and throat an effortless task. The RF-series is the ideal shaver for men wanting the advanced shaving performance of four blades in an affordable package. The fourth finishing foil lifts short, flat-lying hairs and shaves them close. 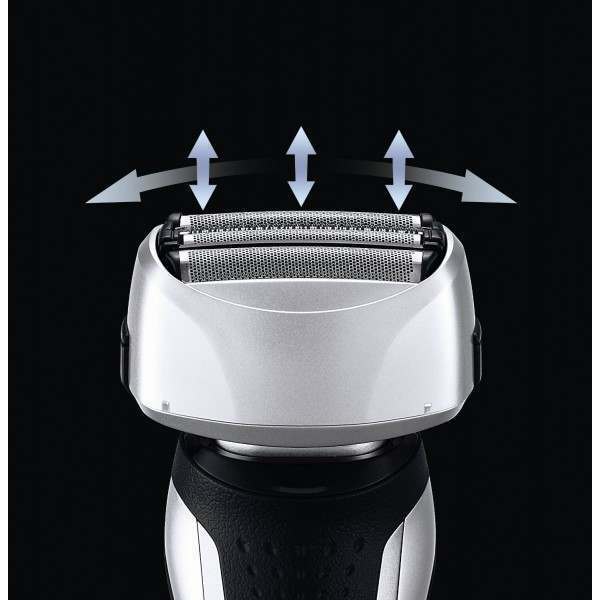 Just like a traditional wet razor, increasing the number of blades in Panasonic’s new RF-series allows faster (more blades cut down shaving time), gentler (curved foils distribute skin contact pressure more evenly) and smoother shaving results (four blades achieve closer skin contact with lighter shaving strokes) even for the toughest stubble. The super flexible pivoting head rocks up and down to a maximum of 8 mm, and rocks side to side following the contours of your face for a smooth and comfortable shave. Optimum 30-degree inner blades have been sharpened using nano particle technology to achieve an extremely fine blade tip edge of 0.3 microns, reducing cutting resistance by half for the cleanest cut. 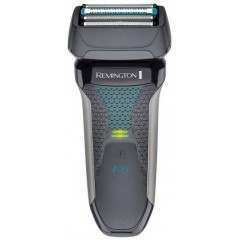 The RF-series incorporates a very fast motor at 10,000 rpm (revolutions per minute) for a faster shave. 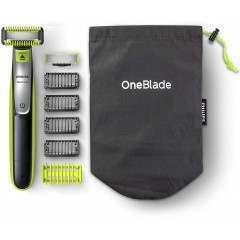 It is designed to maintain shaving power and performance when shaving tough stubble for a faster smoother shave. The new slide-up precision trimmer is ideal for sideburns and trimming back Monday stubble as well as any missed areas. An extra long-lasting battery power of up to 65 minutes cordless use allows you to use your shaver for up to three weeks between charges. The ES-RF31 has three LED charging indicators. It is supplied with a carrying pouch and cleaning brush. Panasonic’s earliest shavers first appeared in 1955 in Japan. 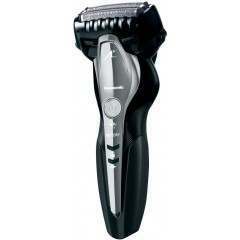 Since then, Panasonic has been the Asian market leader in electric shavers. 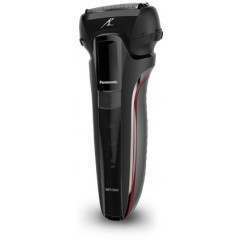 Power and speed define the range of Panasonic shavers, making high performance shaving better than ever. 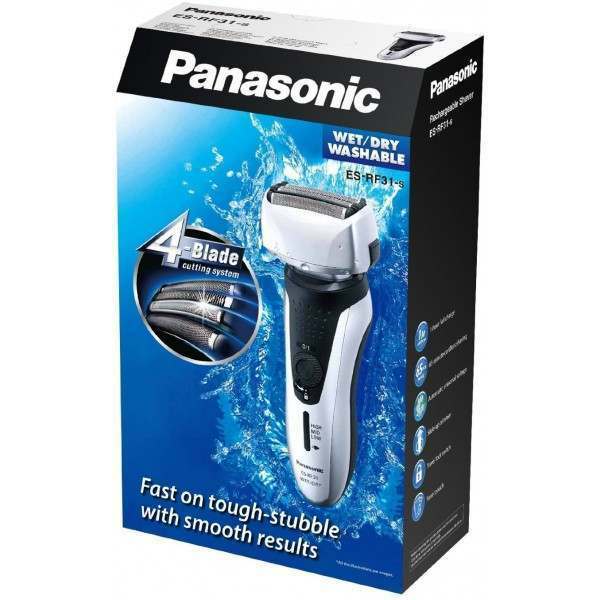 Panasonic’s mission is to create the ideal electric shaver offering a perfect substitute to the traditional wet razor. Depending on your stubble type, you can experience excellent dry shaving results or the merit of wet shaving with lather, oil or powder. Maintain your shaver regularly and bring it back to its peak performance by checking out our blog, filled with many shaving tips. 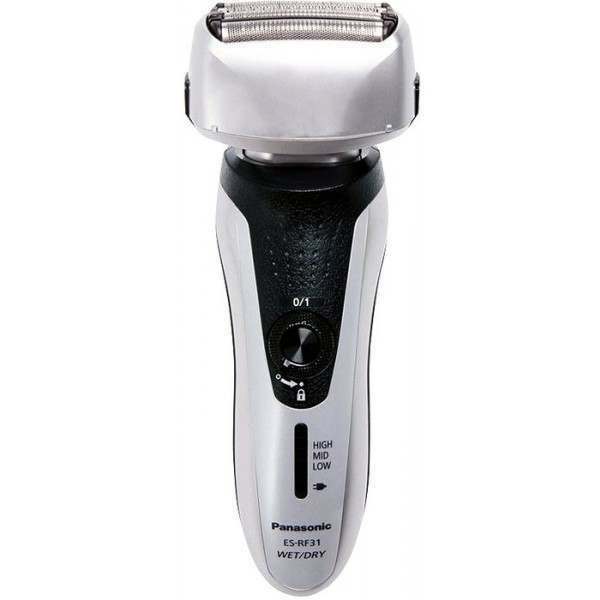 View all the spare parts and accessories for your new Panasonic ES-RF31 shaver, to keep it running as good as new at all times. I have enjoyed one good shave so far with this razor. My only criticism is that the head is a little cumbersome. Everything else is fine. I have a condition known as NF1 which causes me to have lumps on my face. 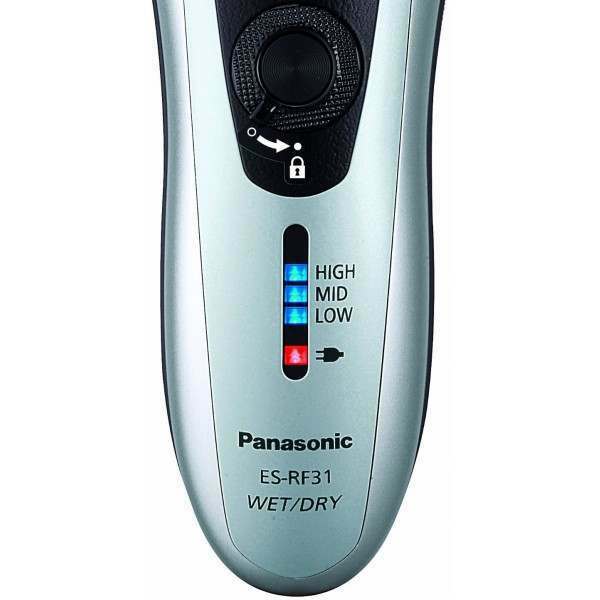 for this reason I find it safer to use an electric wet and dry shaver and the Panasonic ES-RF-31 is by far the best I've used. This ES-RF31 was bought to replace a 9 year old Braun 340 which was no longer holding its charge. I wasn't sure about moving away from Braun as they've worked well over the years - but this Panasonic, on first use, seems to do a better job. 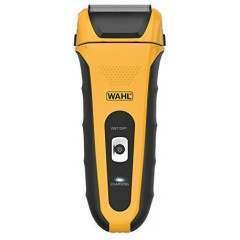 It shaves noticeably closer and with less back and forth over the skin. A better result, completed more quickly. Time will tell about the life of the battery but for now I'm very pleased with my decision. Also it arrived one day after despatch which is impressive. I'd shop here again!